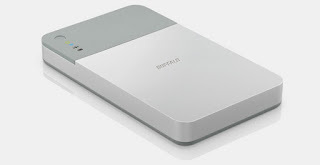 External hard drives, thumb drives, USB drives, Flash memory cards, and devices like iPods are examples of storage devices that you can connect to your system using Thunderbolt, USB, or FireWire cables, or connect wirelessly using Bluetooth. Storage devices (such as external hard drives) can also be available on your network. Additionally, you can insert flash memory cards from your camera or other device in the SDXC card slot in your Mac. If your Mac doesn’t have a card slot, you can access the data on the flash memory card using a connected card reader. After you connect your storage device, you can move files from your Mac to the storage device or from your storage device to your Mac. If your Mac has a single USB-C port, see About USB-C.
Connect the device using the cable that came with it, then use the Finder to view the connected device. If the cable doesn’t have a connector that fits in your Mac, you may be able to use an adapter. For more information, see the documentation that came with the device. Use the Finder to move files to or from your external storage device. Make sure you’re connected to your external storage device (for example, using a USB cable or over a network). Open a Finder window, then do one of the following to move your files. Move files to the storage device: Select All My Files, listed below Favorites in the Finder sidebar, then drag your files to your storage device, listed below Devices in the Finder sidebar. Move files from the storage device: Select your storage device, listed below Devices in the Finder sidebar, then drag files you want to a location on your Mac. If you are not the administrator of the Mac, ask the administrator to give you access to the files you need. If you are the administrator of the Mac, do one of the following. Authenticate as an administrator user: Depending on how you’re attempting to access the file, you may be prompted to authenticate as an administrative user. Change Sharing & Permissions settings for the file: For instructions, see Share your files with other Mac users. Select the item to eject, then choose File > Eject. In the Finder sidebar, click the Eject button next to the item’s name. On the Desktop, drag the item that you want to eject to the Trash. If you can’t eject a storage device, another app or user may be using one or more files on the storage device. For more information, see If an app is using a disk you want to eject and If another user is using a disk you want to eject.